Make it swim with life! Glue precut pieces to the dyed paper. Perfect with a lesson on sealife. This is an easy colorful craft. 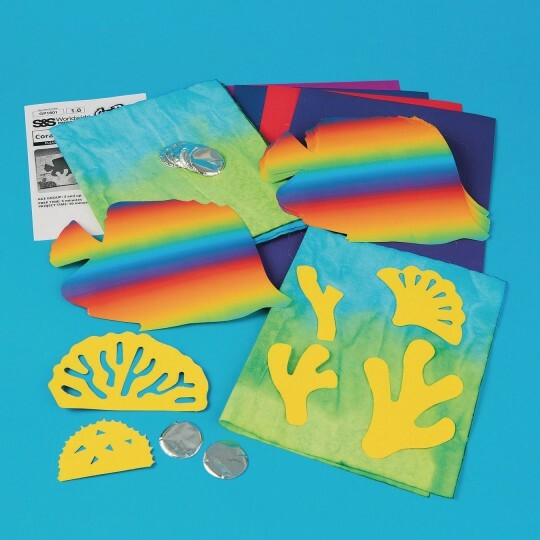 This craft kit is fun and easy and doesn't take too long to make. It is much less complicated than it looks. Geared more for younger childrenAdded glitter glue to jazz it up! 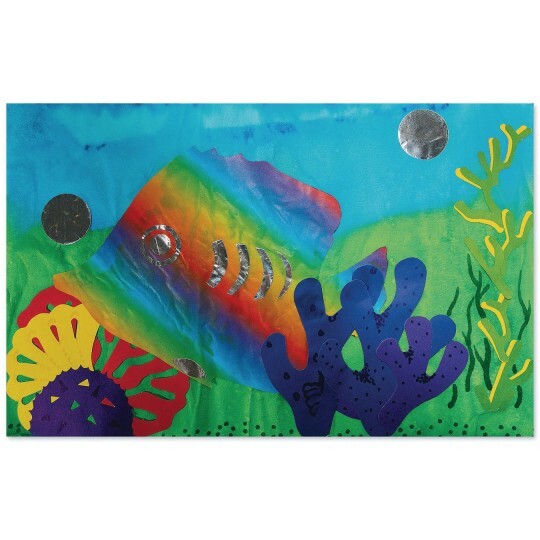 Used this as a follow up craft after teaching about the coral reef. Used with elementary aged group. Students enjoyed choosing and being creative with the different pieces available. We made this kit into a mobile with the coral hanging from ribbons. The coral was easy to punch out if done all at once but there's lots of tiny pieces to punch out in some shapes. Some of the water effect paper had a nice pattern but most was a bit too plain and it doesn't lay flat since it's dyed. But it worked fine for our use. 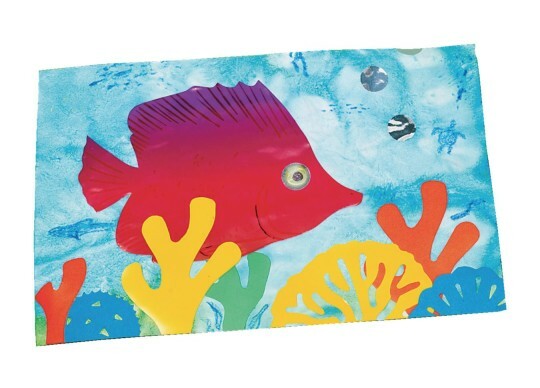 I used these for VBS for the Kindergarten class. The kids really enjoyed gluing and decorating. I had them glue with glue stick the paper on a piece of construction paper first to make more sturdy. I also purchased big wiggle eyes to add to the fish.